Product #46111 | SKU 169-VP-TBRKT | 0.0 (no ratings yet) Thanks for your rating! The Noga VP-TBRKT is a T-Bracket that attaches to any 1/4-20 female mounting point. 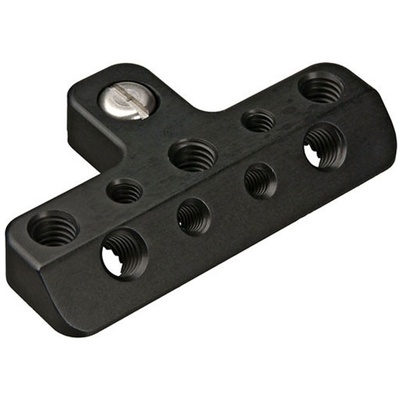 It provides 5 x 3/8 female mount holes and 4 x 1/4-20 mount holes for multiple accessory mounting.